Town officials are seeking improvements at several intersections along the Post Road. 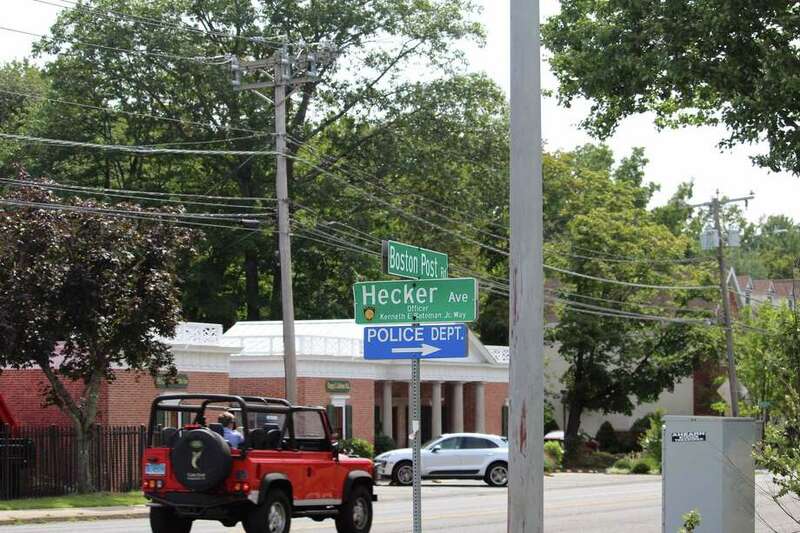 DARIEN — After Post Road residents raised alarms regarding pedestrian safety on several busy stretches of the state-owned highway, officials have vowed to push the state to make changes. Police Captain Donald Anderson — who has been spearheading safety efforts, along with the Department of Public Works and First Selectman Jayme Stevenson — has reached out to the state Department of Transportation (DOT) to ensure enhancements along Route 1, separate from the remilling and repaving work now being undertaken by the state. Anderson has sent letters to the DOT, detailing three requests for enhancements, one of which would be an improvement to the signal at Noroton Avenue in lieu of a small residential and commercial buildings being built across the street. The town has not yet heard back from the state on whether or not they will take on the projects. A call to the DOT seeking comment was not returned as of press time. Anderson also requested an improved signal at the corner of Post Road and Hecker Avenue and the library, specifically for increased pedestrian safety. An examination of the potential for a traffic light at the intersection of Post Road and Thorndale Circle or, if deemed unsuitable, at least the installation of a safer, more visible pedestrian crossing. “It works similarly to a railroad crossing. The lights will flash yellow and when they start flashing red everybody has to stop,” Anderson said. Encroachment permits — required by the state to make certain changes to state-owned roads — to install dynamic speed signs that “flash as you go by what your speed is,” according to Police Chief Ray Osborne, have also been requested. If approved, one speed sign would be placed heading eastbound out of Stamford on the YMCA property. A second would be located heading westbound across from the tennis courts on Beach Drive, and a third would be located heading westbound on Post Road just past its intersection with Hecker Road. Pamela Kiernan, a Post Road neighbor who has been a vocal advocate of increased pedestrian safety, thanked the commission and other town officials for their work, though she added that neighbors were “crestfallen” after an earlier “road diet” plan — proposed recently by the Southwestern Regional Planning Council — to slow down traffic on the road was nixed by the state and the police commission. Capt. Anderson said on Wednesday, Sept. 20, that he had still received no word from the state as to whether the requests would be granted. “The state’s timeline is measured in months, if not years,” said Anderson. DOT Spokesman Kevin Nursick said he couldn’t offer any specifics on the fate of the town’s requests, but did say that requests like the ones made by the town are common, and that encroachment permits are given regularly so long as the entity requesting the permit is willing to take liability. “At face value thse are not unreasonable requests, but the devil is in the details,” Nursick said.